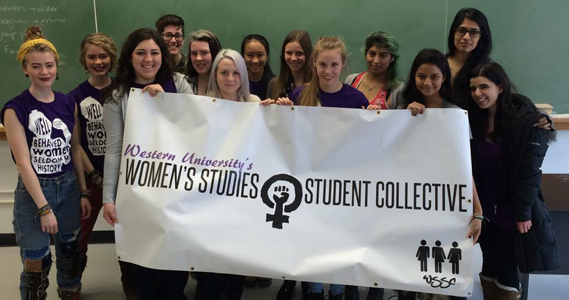 The Women’s Studies Students Council is committed to making the WSFR department at Western University the best it can be and demonstrating all of the fantastic modules, courses, and most importantly people that make up one of, in our opinion, the greatest department on campus! Whether you are completing anything from an Honors Specialization to a Minor or taking a WS class for fun, we are here to represent you and make sure that you are able to get the most out of your time within the WS department. Any questions about what we do or suggestions about what you would like to see in the upcoming year, feel free to contact us! The current co-presidents for the 2017-2018 are Chrisinda Gordon and Jamie Kim.